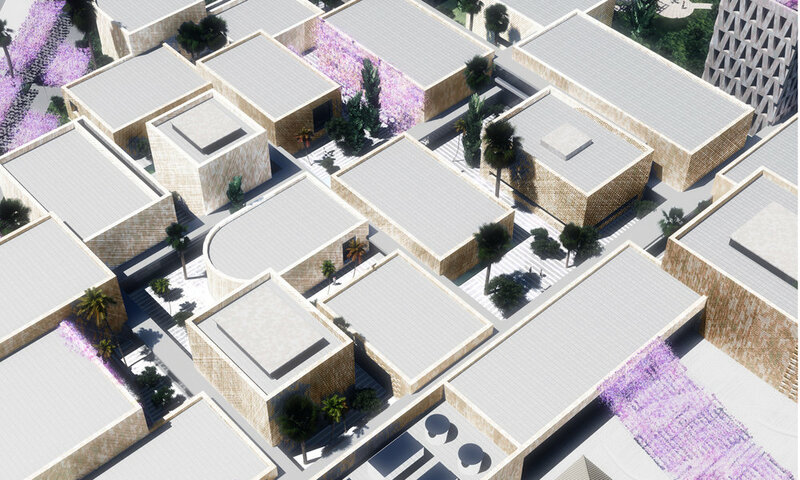 The New Cyprus Museum will function as a landmark for the city celebrating the 12.000 years of human cultural heritage on the island. 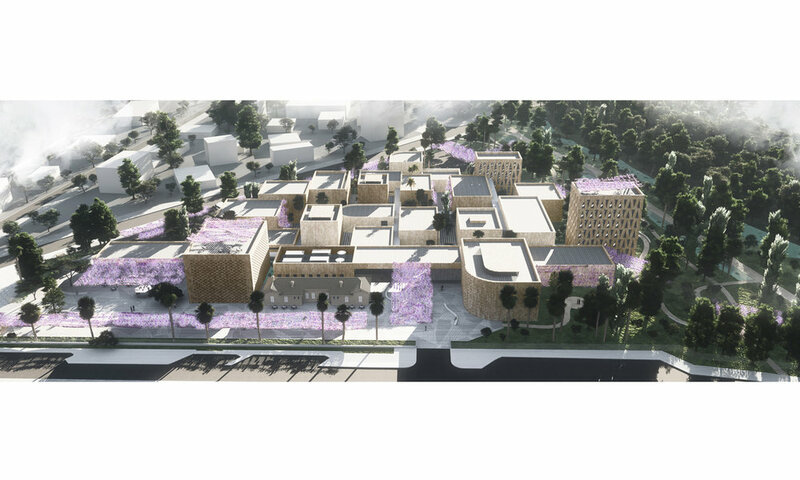 It will serve both as a new point of reference within the urban fabric of Nicosia and a state-of-the art architectural complex that shelters the archaeological collection. 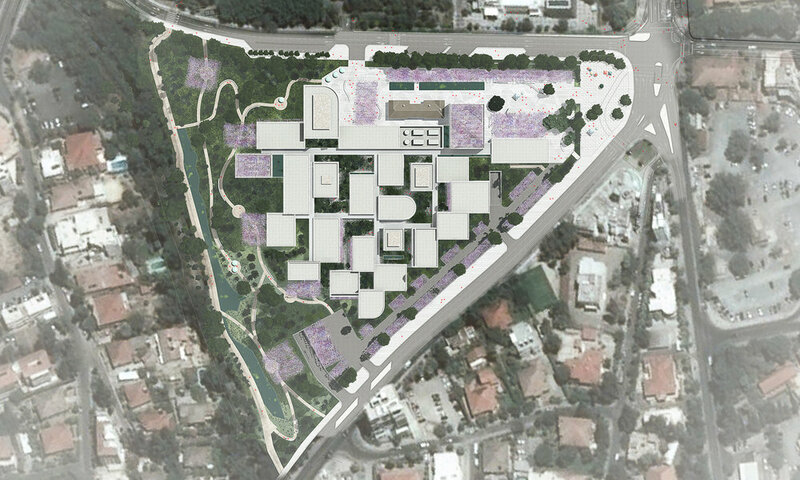 Situated among important public functions, such as the Municipal Garden, the existing Cyprus Museum and the House of the Representatives, the Museum is extended to the “Plaza of the museums”, a new topos of urban reference that unifies the neighboring functions. 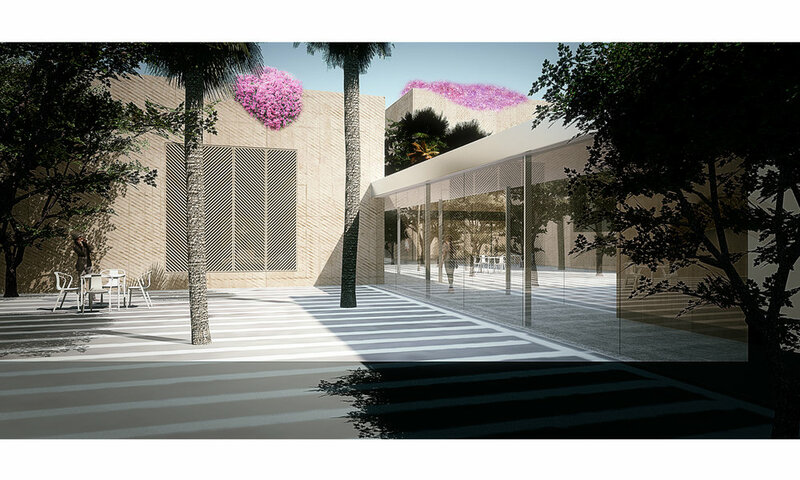 The new plaza spreads within the NE part of the plot as an opening gesture to create a meeting point between the dispersed landmark building of the area and is haracterized by the use of endemic plantation in order to create a familiar and sustainable environment.The goal is to create a plaza that enhances the presence of the museum, while creating a unique recognizable meeting point that could function parallel to the museum. The volumetry of the building reminds the complexity of the cypriotic urban fabric. The façade treatment creates a mineral complex that uses local stone for covering the voids. The museum manages to combine both the monumental and the human scale. While it creates a monumental and iconic landmark for the city, using the archetypical cube in a game of repetition and complexity, when one discovers the interior, the image that is unveiled is totally different. The internal organizations of the museum create a promenade that is adapted to the human scale and offer an intimate view to the collection. 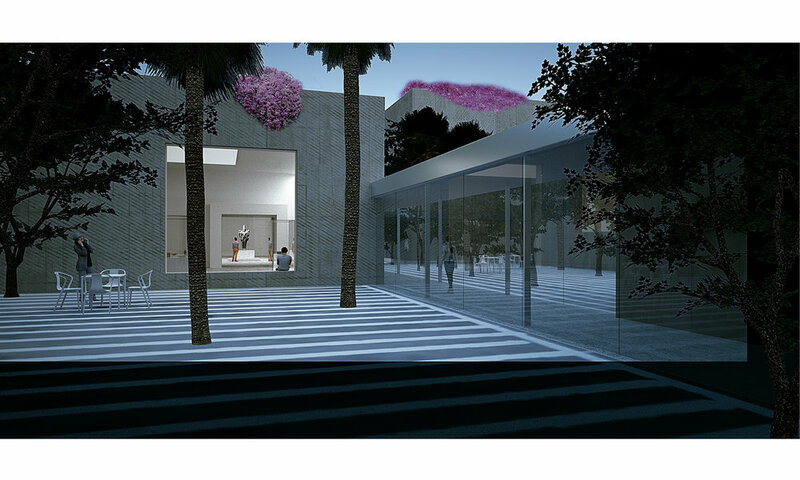 The museum is developed in an iconic volumetry that draws inspiration from the Cypriote and Mediterranean human scale of the urban fabric, the interconnected volumes, the rooms are leading the visitor to an architectural promenade that is enriched by the succession of the exhibition rooms and a series of interior courtyards. 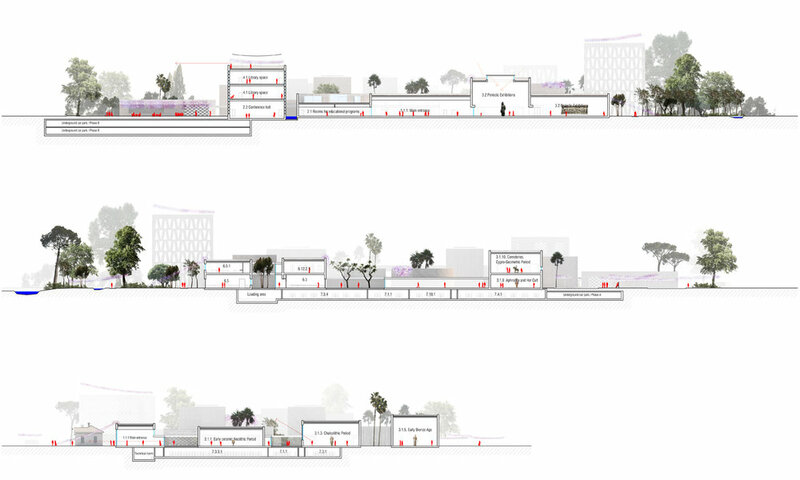 The design of the solution composes an open system of cubic volumes, which could also be extended in the future, should there be any needs of extending the museum due to the continuous new findings from excavations. Natural light is filtered in the rooms, enriching the Museography path. The visitor experiences an interactive path between the exhibition spaces that set up the narrative and the promenade that is developed through the succession of rooms, corridors and open spaces. The natural elements of the river Pedieos and the forest that surround the museum, are introduced within these enclosed courtyards: the nature is thus echoed within the museum and a continuity is implied with the surroundings.